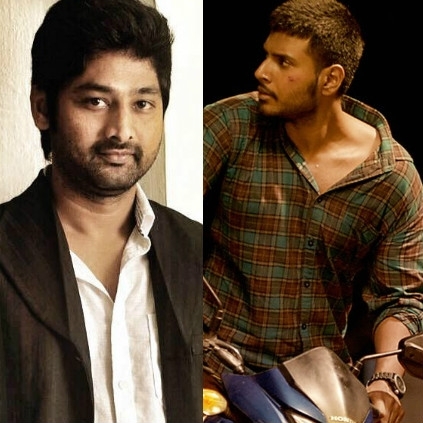 Director Thiru, who gave us films like Theeraatha Vilayattu Pillai, Samar and Naan Sigappu Manithan, is all geared up for his next movie, which will have Sundeep Kishan in the lead. Sundeep has become a new sensation in K-town, who has been receiving laurels from various corners for his intensifying performance in Lokesh Kanagaraj's directorial, Maanagaram. The director opens up about the film, "This will be a Tamil/Telugu bilingual having Sundeep Kishan as the main lead hero. It will be an action-packed entertainer, that will talk about an unexplored and a very new concept. Richard M Nathan is the cinematographer and Ruben is the editor for the film. We are in the process of finalizing the rest of the cast and crew. Once it is all done, we are planning to start rolling from the month of May." Our best wishes to Thiru and team for this new film to shape up well! People looking for online information on Sundeep Kishan, Thiru will find this news story useful.